Game 2 was also a draw, a few more moves compared to Game 1 but relatively quicker in real time. The Caro-Kann makes sense to me for Carlsen, as Anand’s generally direct style leads to a lot of draws against it, unlike say his record against various Sicilian lines or Closed Lopez lines where he’s got more room to work. Still, I don’t think Magnus is going to remain stationary (at least with the Capablanca Variation of the Caro) if Anand plays 1.e4 in Game 4. Apparently, Anand doesn’t particularly mind the Berlin and Magnus decided not to enter it either, both of which are real surprises to me. Either way, though, I still don’t think 1.e4 is the way to go for Anand in this match. What was a bit disappointing for me was that Anand won a game in this line earlier in the year (against Ding Liren), but while he varied first with 14.0-0-0 (pretty much the only move ever played it seems, as opposed to the 14.Qe2 he played in that one game), he didn’t have anything new after that. The critical moment it seems – Anand considered 18.Qg4, but he went with the quiet 18.Qxd5 and a draw was agreed not too long afterwards with a repetition. 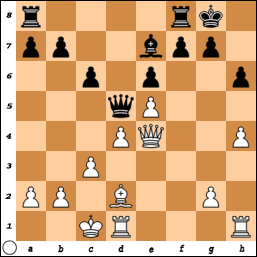 Frankly, the position after 18.Qg4 doesn’t seem all that dangerous for White. Magnus might have been cagey with his “I was planning to play 18…Kh7” instead of the established sequence of 18…f5 19.Qg6 Qxa2 20.Bxh6 Rf7. Established as in it was worked out to a draw in a recent correspondence game, which is good enough for me. Well, that was interesting – a 16-move draw in the first game of the Championship match. Anyway, back to prognosticating. 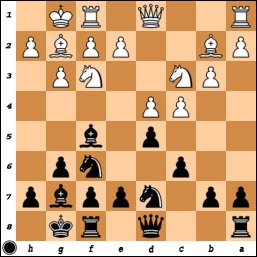 I’ll go out on a limb and say: Anand will win the match (possibly in tiebreaks), he will use both 1.e4 and 1.d4 as white, and will largely use a Nimzo move order of 1…Nf6 and 2…e6 as Black against 1.d4. Not a bad prediction, if I may say so myself. The Nimzo move order didn’t quite come true for much of the match, as he only played it twice as opposed to the Semi-Slav four times in the regular portion. However, Anand did win in tiebreaks, so that’s not so bad. Some time has passed since then and Anand definitely has been making some improvements in late 2012 and through much of 2013, but I don’t think it’ll be enough to offset Magnus’s simply better form now. So my brain says +2 for Magnus (6.5 – 4.5, over in 11 games), and I have some worries that it’ll be a bit like the Kasparov – Kramnik match from 2000 in that Kasparov made no headway really and was never in the driver’s seat. In fact, Kasparov was somewhat lucky that the score only ended as +2 for Kramnik and didn’t even seem to be fighting in some of the games. That said, I’ve always been an Anand fan and I’m hoping for a great match. I think there’s a pretty short list of people who – at the height of their powers – could play with Magnus when Magnus is in best form (or whatever 2870 buys you these days). Anand is one of them, and if he can get himself back into physical and mental shape, then who knows. Some of my colleagues have been asking me more about chess recently – some even showing up to the USCL games at the Mechanics Institute which is just a few blocks from our office. One analogy that I tried to make was that this is a bit like LeBron and Kobe going at it one-on-one now, with Magnus as the younger, stronger, and better player, but Kobe as the aging and wounded “Lion in Winter” who can still put together a brilliant performance but can also turn in a real clunker from the field as well.